One of the problem that is always faced by most banks (including Islamic banks) is the mismatch between the commitment to pay a “fixed” return to depositors (created during deposit building exercises) and the “volatile and underperforming” returns from the usage of these funds (earned from the Assets). Typically, Banks put in a lot of effort in the building of deposits to satisfy and meet several regulatory and/or internal requirements, such as Asset to Deposit Ratio (ADR) and liquidity requirements under the Liquidity Coverage Ratio (LCR) where Banks have to maintain a certain level of High Quality Liquid Assets (HQLA) for every commitment on the deposits. 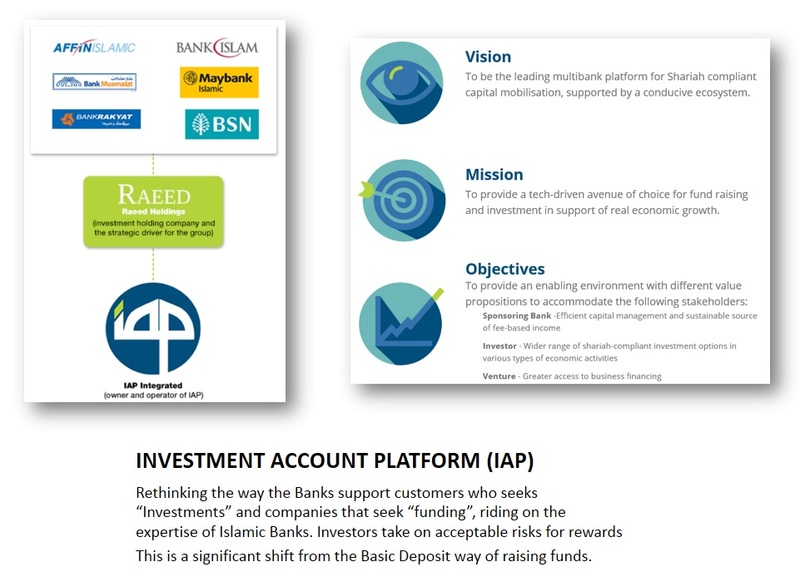 The Bank also incurs opportunity costs when they are required to maintain a certain level of Statutory Reserves Requirements (SRR) deposit with Bank Negara Malaysia (BNM), and internally there could also be other incurred costs such as Liquidity Premiums (LP) and even deposit insurance payments to PIDM for the deposits portfolio. These cost adds up to the overall cost of maintaining deposits. Now, the issue arises when the fixed commitment created from the deposit raising exercise is too high against the actual returns from the use of the deposits. For example, the Bank runs a Tawarruq FD campaign of 4.0% p.a. returns for a 12-month placements to raise RM100 million worth of deposits to support the ADR requirements. However, the returns that the Bank earns via the treasury function may not be sufficient to support the fixed commitment of 4.0% p.a. maybe during periods of low returns (due to market performance or high provision of bad debts) or lack/delayed disbursement of new financing. Should the returns on Asset be lower than 4.0% p.a. the Bank is technically “subsidising” the shortfall, either partially or fully, from their own pool of funds to meet the fixed obligation. This scenario is commonly termed as part of “Negative Carry”. It means due to the high “fixed” deposit commitment which has failed to generate enough returns (due to any/many factors), the Bank pays the shortfall from their own pockets. This is prevalent in both Islamic and Conventional banks nowadays. It can also be an expensive problem for the Banks, especially when Banks are forced to offer high fixed Tawarruq returns to big Corporate entities for chunky deposits. Ironically, Islamic Banks actually have a solution to “Negative Carry”. It is called “Investment Account” where instead of paying the customer a fixed return against the “forecasted” returns on Assets, the customer is paid based on “actual performance”. The Islamic contracts that can be used for removing the Negative Carry are Mudharabah, Musyarakah and Wakalah Fi Isthihmar; the 3 contracts identified by BNM as falling under the IFSA 2013 definition of “Investments”. Consider this. The Bank has an Asset portfolio of RM1.0 billion with an average returns ranging between 3.5% p.a. (worst case) and 4.5% p.a. (best case). The actual performance is influenced by the market conditions and the provisions of bad debts, so it is hard to predict the “actual” returns for the next 12 months. Instead of finding a pool of deposits to support this RM1.0 billion worth of Assets at a “fixed return” of 4.0% p.a. under the contract of Tawarruq, the Bank offers the customer to “directly invest” into the Asset Portfolio. Basically, the Bank carves out a portion of its Assets in the Balance Sheet and “Sells” the Asset to the customer (Investor). In such scenario, the customer (as investor) takes over the risks of the returns on the Asset as they are paid profits based on “actual performance”. If the Asset earns 4.5% p.a., the customer earns a profit-share based on 4.50% p.a. i.e. earning potentially higher returns. More importantly, if the Assets earns 3.50% p.a., then the customer takes the profit based on 3.50% p.a. and this means the Bank do not have to “fully subsidise” any shortfall if compared to a fixed Tawarruq commitment of 4.0% p.a. The risk is effectively transferred to the customer (as investors). On hindsight, it looks as if the Bank enjoyed gains when returns are low (no need to subsidise the shortfall) but on the other hand, stand to lose a portion of the returns on the Asset if the Assets performs at 4.50% p.a. As the customer takes the risk on the Asset, under Investment Account they will also take the rewards associated to such risks. So Banks would not earn as much as it could if they had funded the portfolio themselves. But is it true that the Bank lets go their earnings? If we recall earlier that to maintain a deposit portfolio, there are certain costs associated to it. Firstly, the “negative carry” costs itself have been removed (often referred as cost of capital), and so will the SRR costs as this deposit is now funded by customers. Liquidity premium costs can also be removed, and if the Bank structures their deposit products tenures right, they are also able to gain benefits from the LCR (and reduce the need to maintain a large amount of HQLA where opportunity costs is a factor). From Bank to Bank, there could also be other costs of maintaining the Balance Sheet (including costs for the Asset portfolio itself), which becomes additional savings to the Bank. And lastly, there will also be savings on the deposit insurance at PIDM as the Investment Account is not covered by them. Therefore, although it is seen as “surrendering Bank’s income” to the customer (who has effectively taken over the Assets as they are the ones funding it) in scenarios where Assets are performing well, in reality the Bank still benefits as a lot of the costs of maintaining the deposits have been recouped as “savings”. The net result of an “Investment Account” portfolio could very well be better than maintaining a pure “Deposit Account” portfolio. Effectively, the Bank has sold off a portion of their Assets to the customers (as investors) thus shrinking the Bank’s Balance Sheet (impact : improved capital efficiency) and the customer now takes over the risks of the returns on the Assets sold to them. The Bank’s Market Risk on the Asset is now moved to customers, and the Profit Rate Risk is now borne by the customer. Investment Accounts provides a real solution to the long-standing issue of Negative Carry if it is structured well. It releases the pressure on Banks to raise deposits to support financing. In Investment Account, the customer comes in to jointly “fund” the financing portfolio. Instead of the Bank carrying all the “Market Risks” and “Profit Rate Risks”; these risk are shared with the customers as partners. This is the true element of Profit and Loss Sharing often propagated in Islamic Banking idealists and championed by BNM. The solution is already here. Use it!